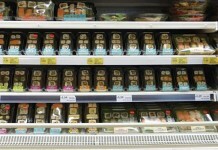 Two new products have just been added to the extensive Galpharm Cold and Flu range. Galpharm Max Strength Cold & Flu Blackcurrant Flavour Powder for Oral Solutions available with five sachets in a box. 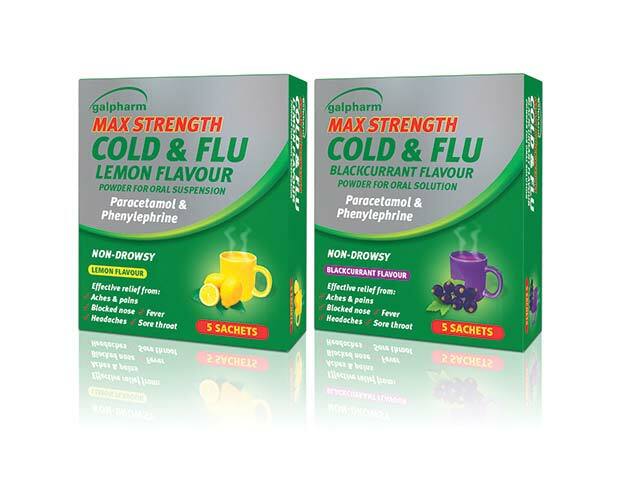 Galpharm Max Strength Cold & Flu Lemon Flavour Powder for Oral Suspension can also now be purchased in boxes of five sachets as well as the long-established 10s. Recent research conducted for Galpharm shows that cold/flu remedies are a ‘top of mind’ purchase for consumers with 69% making a purchase in the last two months. 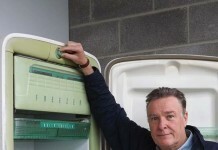 Galpharm products are seen as offering ‘an effective, trustworthy product which is an affordable alternative to well-known brands’. Customers found the Galpharm packs ‘appealing’ particularly as they clearly state the name of the active ingredient on the pack, which is important in establishing the efficacy of a product. The Galpharm Cold and Flu range also includes decongestant containing Galpharm Cold Relief Capsules, Galpharm Max Strength Cold & Flu Capsules, Galpharm Flu-Max All-In-One Chesty Cough and Cold powder for oral solution and Galpharm Flu-Max All-in-One Chesty Cough & Cold Tablets.